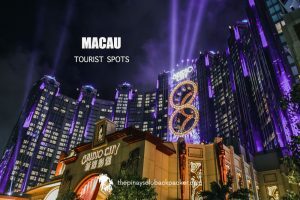 Macau known for its glamour and glitz has a reputation for being an expensive tourist destination. 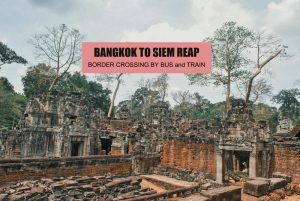 But it shouldn’t be, because there’s a wealth of free hotel shuttle buses here, not to mention most tourist attractions here are free, so you can save a lot during your trip. 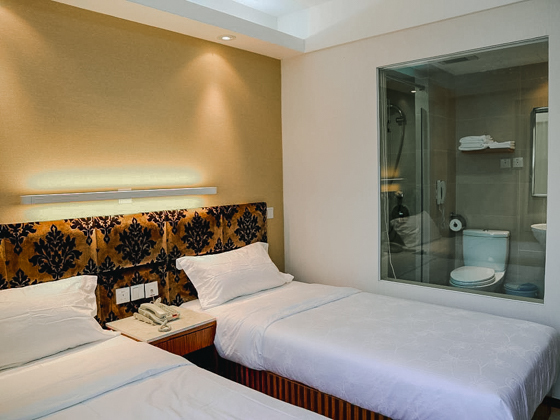 There are also a handful of budget-friendly hotels. 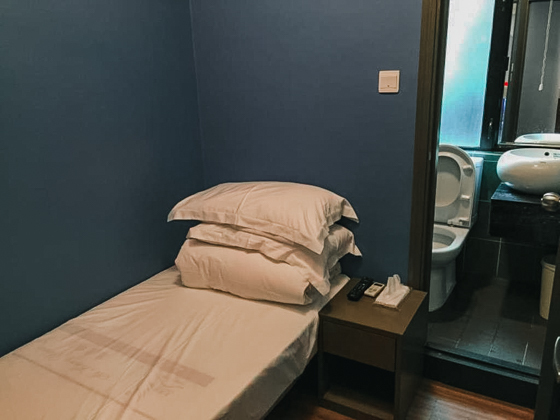 And unlike in Hong Kong where you’ll think twice if you’ll book a budget hotel because of its “you get what you pay for” quality, in Macau, the cost-efficient hotels are way better and near most tourist spots in the historical district. Here’s a list of top-rated budget hotels in Macau according to confirmed guests. Important: To check the room rates, change the dates to your preferred check-in dates and click Search. Why is it considered one of the top-rated budget hotels in Macau? Why is it considered one of the best budget hotels in Macau? 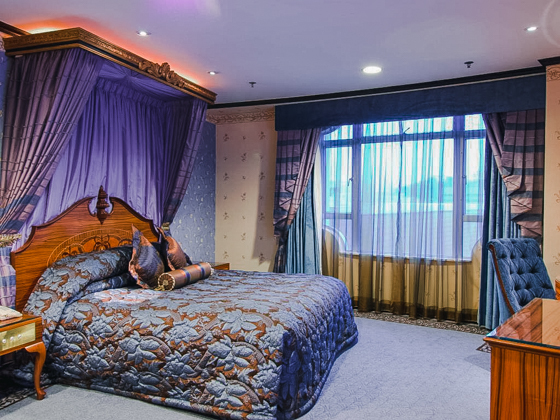 This sister hotel of Grand Lisboa has excellent location in downtown Macau. It is walking distance to many attractions in the Old town such as Senado Square, St.Paul’s Church Ruins, Monte Fortress, Macau Museum, etc. The bus stop is also nearby. Rooms are spacious, elegant and clean. 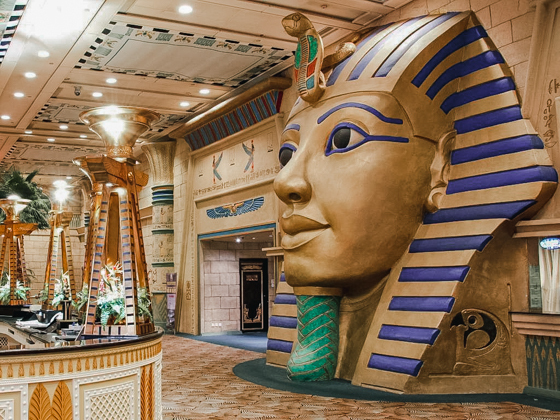 Why is it considered one of the best-rated Macau budget hotels? This hotel exudes an old-world charm because of its Victorian-inspired interior. 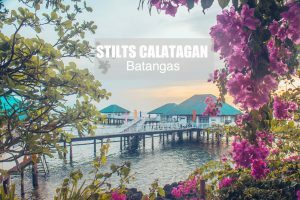 You can enjoy the balcony with an ocean view, the bridge to Coloane Island and the view of the buildings. It is located near Macau Outer Harbour Ferry Terminal. 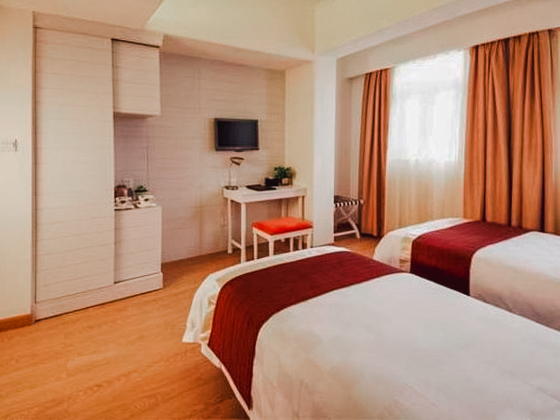 Rooms are spacious, clean and comfortable. 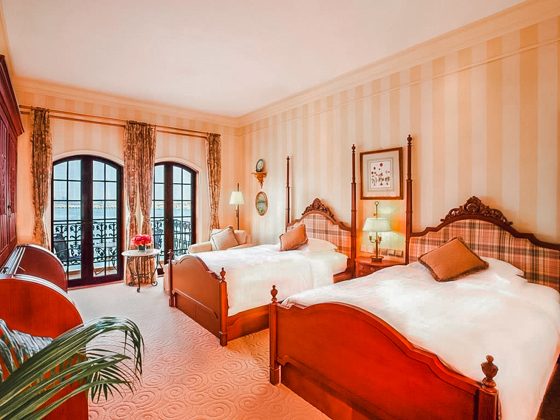 This best-seller hotel has huge, opulent and clean rooms. It has a big swimming pool, 2 Jacuzzis and a small hot pool. Good location, near the bus station and major tourist attractions in Macau. 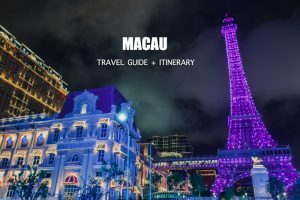 Why is it considered one of the best Macau budget hotels? Strategic location, near Senado Square, St. Paul’s Church Ruins, Monte Fortress and Macau Museum. Room is small but clean. No elevator, just stairs, so quiet difficult if you have a big luggage. Why is it considered one of the top Macau budget hotel? 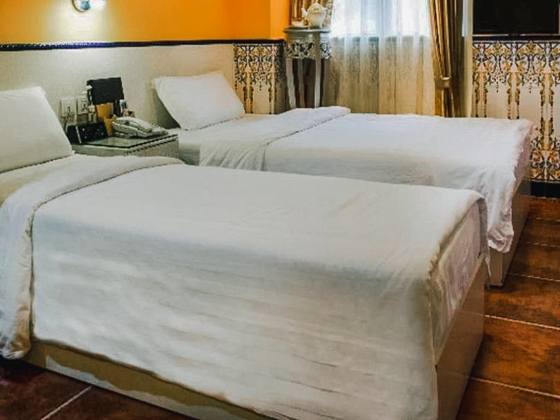 If you are looking for a budget hotel, this is a good option. Centrally located, near tourist attractions and many eateries. About 5-minute walk to Senado Square. Quite old hotel but well-maintained. Clean rooms and bathrooms. Good location, near St.Paul Church Ruins, Macau Museum and Monte Fortress. No elevator so you will have a hard time if you have a heavy luggage. Why is it considered one of the top-rated Macau budget hotels? Good location, near bus stop with direct stop to ferry terminal. Tourist spots in historical location like St.Paul’s Church Ruins accessible. 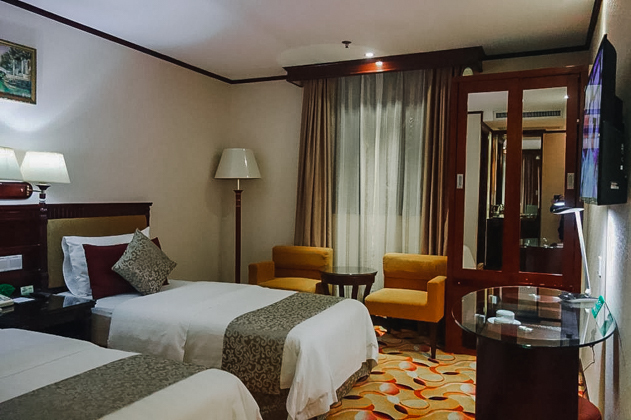 Comfortable rooms and cozy bed. Staff are friendly and attentive. Near 24-hour supermarket. Good location, very near Venetian. Also, it’s near some restaurants and bus stop. Clean rooms. Centrally located, near bus stop, cafes, restaurants, supermarket and convenience stores. 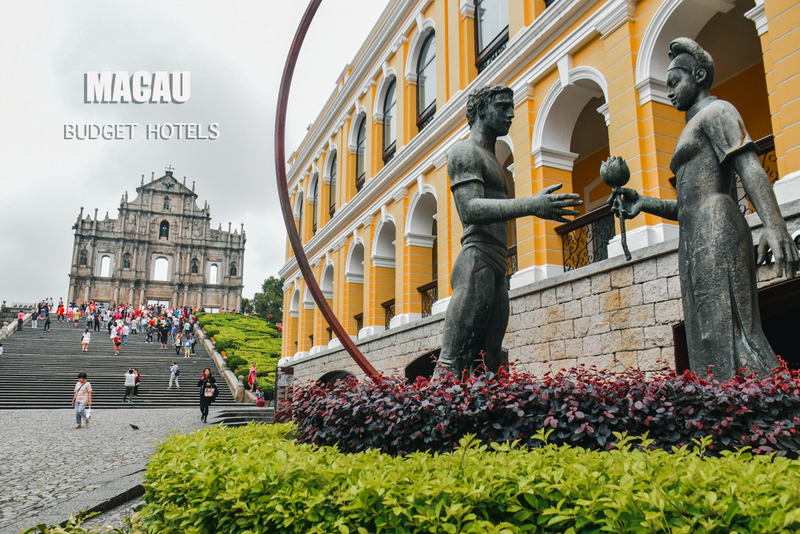 Senado Square, St. Paul’s Ruins, Monte Fortress and Macau Museum can be reached on foot. Hotel is quite old but rooms are clean. Strategic location, near Saint Augustine Square and Senado Square. Rooms are clean.